Galician scholar; lived at Brody in the first half of the nineteenth century. He translated from the German into Hebrew Hufeland's "Macrobiotik," or the art of prolonging human life, under the title "Ruaḥ Ḥayyim" (Lemberg, 1831); and a natural history, in four parts, under the title "Limmude ha-Ṭeba'" (Czernowitz, 1836). 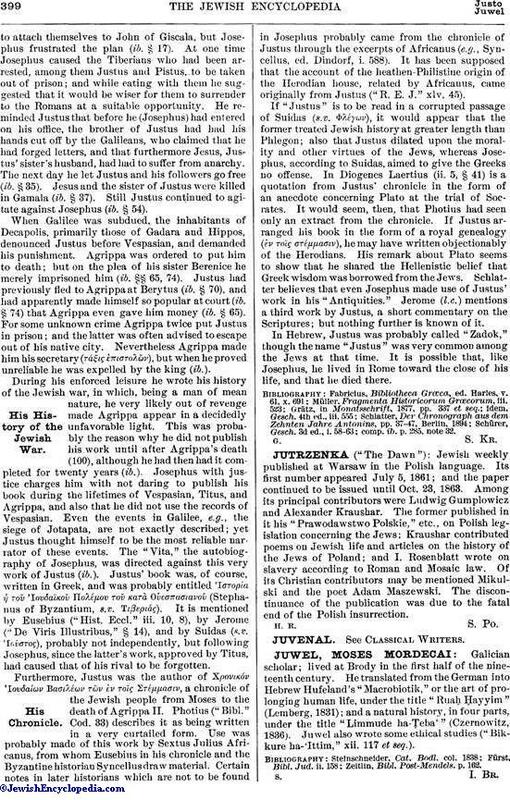 Juwel also wrote some ethical studies ("Bikkure ha-'Ittim," xii. 117 et seq.). Zeitlin, Bibl. Post-Mendels. p. 162.